This is where Annabel Trend's wonderful Spatrends products enter our busy lives – and they cost far less than a spa treatment! 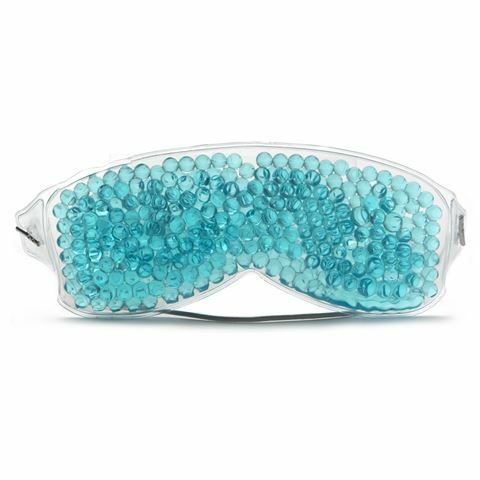 Created with non-toxic beads, which conform to the contours of your face, the Spatrends Gel Bead Eye Mask is ideal for relieving sinus pressure, eye puffiness and headaches. And don't forget the therapeutic benefits! All you need to do is store your eye mask in the refridgerator until desired coolness is achieved. Then, just place it over your eyes and enjoy. Relax in the confines of your own home, thanks to Spatrends. Gel beads mould to the contours of your face for more effective relief. Aids in relief of sinus pressure, eye puffiness and headaches. Store eye mask in refrigerator until desired coolness is achieved, then place over eyes and relax. Elastic band fastening fits most. If required, hand wash with mild soap or detergent.